The English Department at Cheam High school is passionate about Language and Literature. We want our students to be as passionate as we are. We believe that reading is fundamental for students to be able to excel in English as it opens their minds and imagination as well as helping to develop their vocabulary and grasp of grammar. 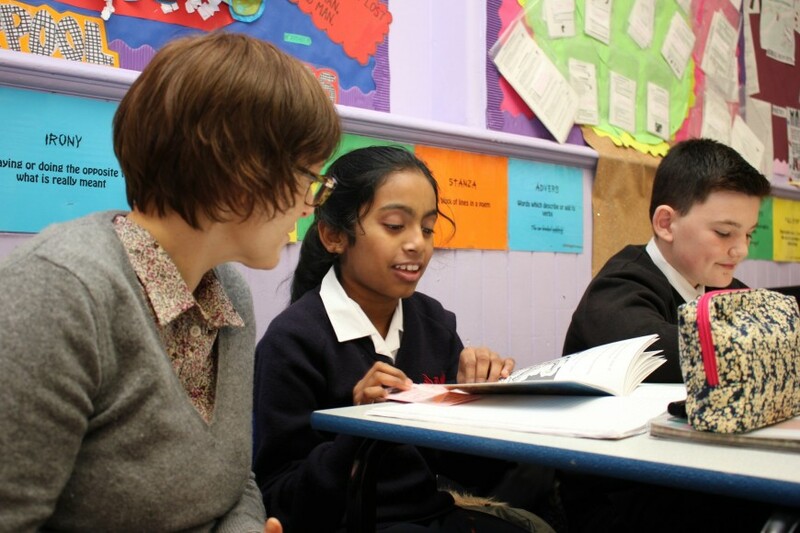 Our approach to the teaching of English Literature and Language is an integrated one. Our aim is to develop the skills of our learners so that they become great communicators whilst also developing an appreciation of the writing of others. Literature allows us to introduce students to a range of social, political and cultural issues. 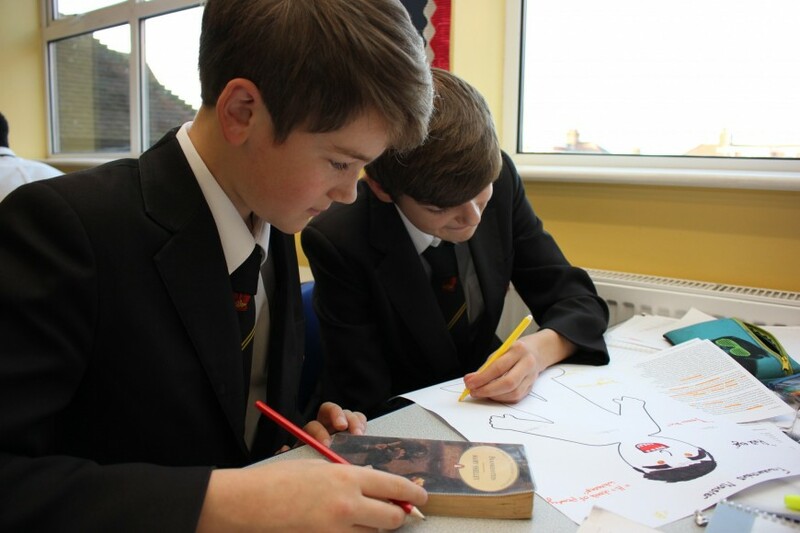 Texts are carefully selected and students will study a range of fiction and non-fiction texts across each of the key stages as they develop their analytical skills. Through the exploration of the writing of others, we promote the importance of being able to have a voice of your own. Both oral and written communication is valued highly and students are taught these distinct skills. Emphasis is placed on the accuracy of written communication and time is dedicated to ensuring that students secure the key skills of spelling, punctuation and grammar. During each key stage, we ensure that the building blocks are put in place for students to succeed and to prepare them for the next stage. Students are given mnemonics to help approaches to writing and analysis which they can use from Key Stage 3 all the way through to Key Stage 5. At Key Stage 4, our students follow the Edexcel Specification for English Literature and Language. At Key Stage 5, we offer students the opportunity to following the EMC/OCR Literature and Language A-Level. All students in Year 7 - 10 follow a programme of lessons called 'Lets Think in English'. Let’s Think in English is a teaching programme developed by Kings College London to help students develop the reasoning skills needed for success in English at GCSE. However, to have the strongest impact, these lessons begin at Key Stage 3. Let’s Think lessons use a variety of English texts – fiction, poetry, non-fiction and film and are designed to be used fortnightly. They involve reading, open-ended questioning and structured group discussion. Students don’t even need a pen, as the lesson relies solely on their ideas about the text. The lessons systematically develop their skills of inference, deduction and analysis, increasing their confidence, resilience, understanding and ability to express their ideas. In particular, they provide oral experience in drafting which will be essential in challenging timed GCSE examinations where students will need to draft effective evaluation and comparison answers at sight. The programme helps all students to thrive and make good progress. At Cheam, students participate in a Let’s Think lesson fortnightly in Year 7 and 8, and once a half-term in Year 9 and 10. The English department celebrates National Poetry Day, World Book Day and Shakespeare’s birthday each year. Students complete a range of activities and are invited to enter competitions with prizes to be won. Poetry and writing competitions are organised by the department each year. These are advertised in the department and students are encouraged to take part. There are also opportunities for students to be a part of the Carnegie Book Shadowing group or for them to take part in our debate club. Our Curriculum Support Officers are friendly faces in the department and provide classroom and one to one support for students. We also have a team of Learning Support Assistants who have the specific subject knowledge to be able support students across the key stages. At Key Stage 3, students’ exam results are closely looked at and where it is felt that students aren’t quite working at their target grade, intervention is put in place through focused after school sessions. Other data collected throughout the year is also looked at and individual intervention is put in place for students. At Key Stage 4, we offer a wide variety of support sessions throughout the year for students with specific focuses to cater for the different needs of our students. These sessions are always well attended. At Key Stage 5, a variety of support is provided including after school support sessions and one to one tutorials, particularly when focusing on coursework.